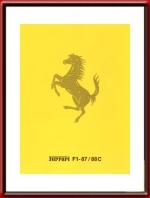 Ferrari F1 87 / 88 C Formula One Brochure. Approximately 7 x 9 inches, unfolds to 28 x 9 inches (4 panes). 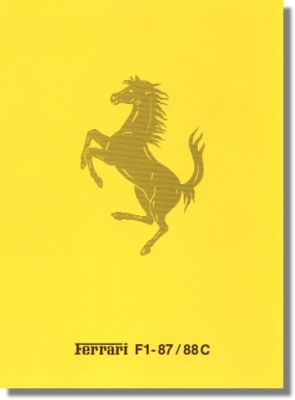 Print# 511/88, issued in 1988, printed by ARBE, Modena, Italy.